The ultimate in Japan-chic, this bag pairs an incredibly unique canvas fabric with denim. 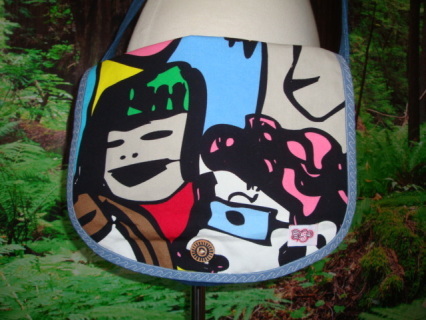 The canvas fabric features many abstract faces- so frickin' cool! The denim is a nice weight, adding to the durability of the bag. The pinwheel wood button is pretty rad with it's blue carved out and painted design. 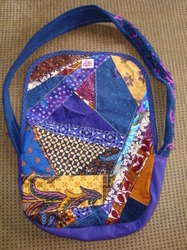 The fancy waved stitching adds to the many details featured in this bag. It's lined in fuchsia cotton. PLUS, you are guaranteed that no one else in the world has the same bag as you. People will stop you in the street to ask where you have gotten it! You'll love the perfect size of this one- not too big, not too small. 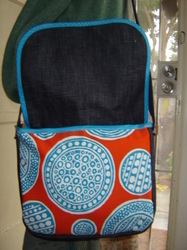 It will carry all of your goodies and even a long sleeve just in case you need one. Measurements: 13" by 11" by 2.5"
You're the life of the party. You march to the beat of your own drummer. 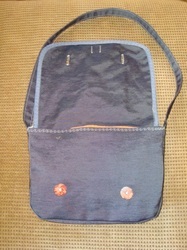 You're different, one of a kind and you SPARKLE... and so does your bag. 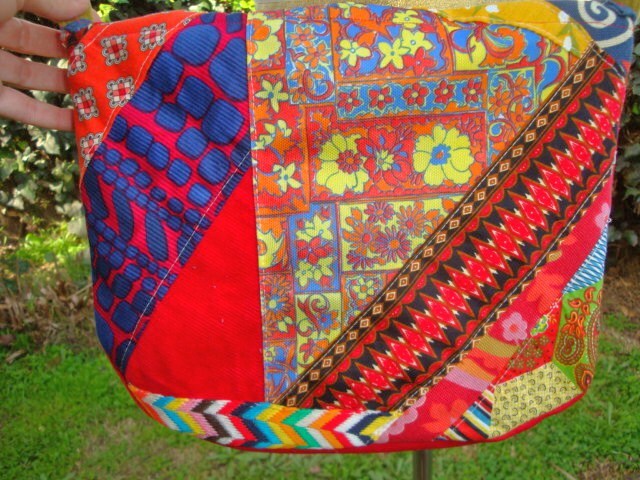 This beautiful cross-body bag is a piece of wearable art. 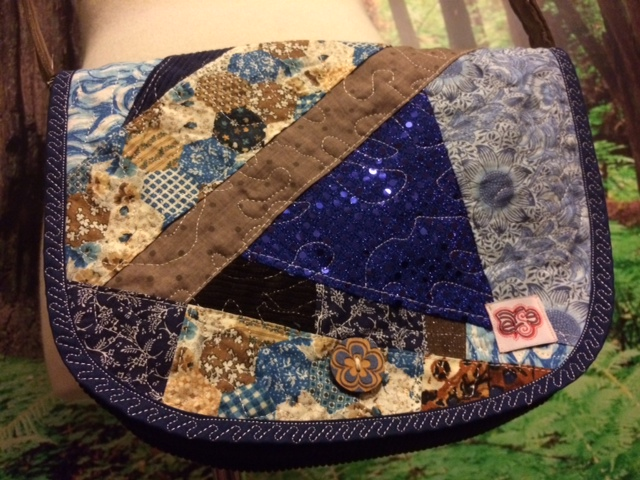 It's patchwork was hand-quilted in shimmery silver thread. 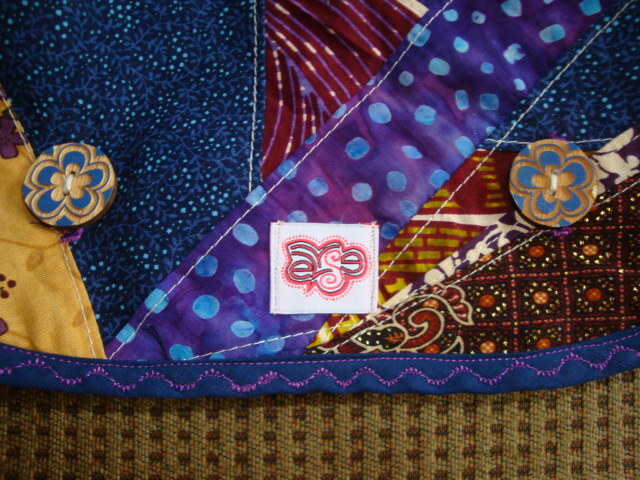 Make sure you check out the details including the sequins patch and wavy stitching. 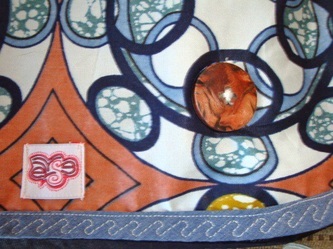 The wooden button is vintage as are some of the fabrics. 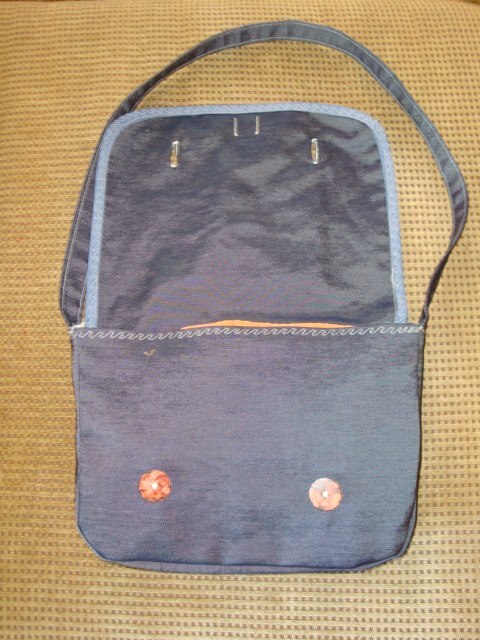 The corduroy that makes up the body of the bag has silver shimmer throughout it as well. 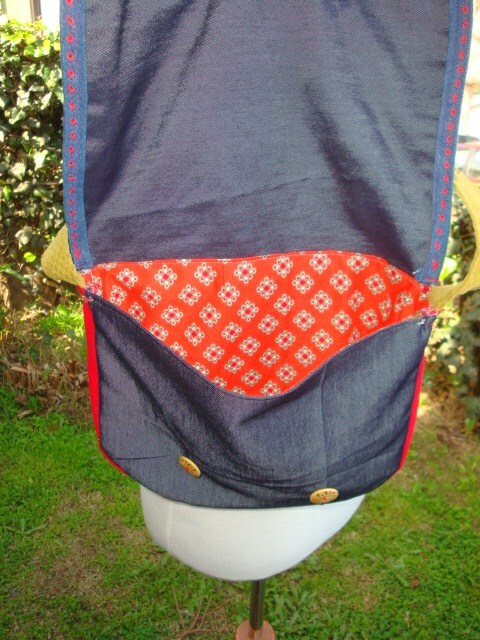 You will love the sizing of this bag- not too big, not too small- just right. Enjoy your night out with your new Sparkler bag! Measurements: 11.5" by 8.5" by 2"
Wow! This one is quite special! 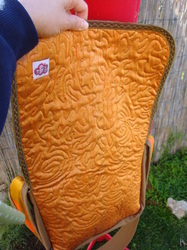 With it's variety of vintage and new fabrics in hues of green, tan, orange, black and more colors, it will keep you grinning. We just love the little Asian person depicted on the front. 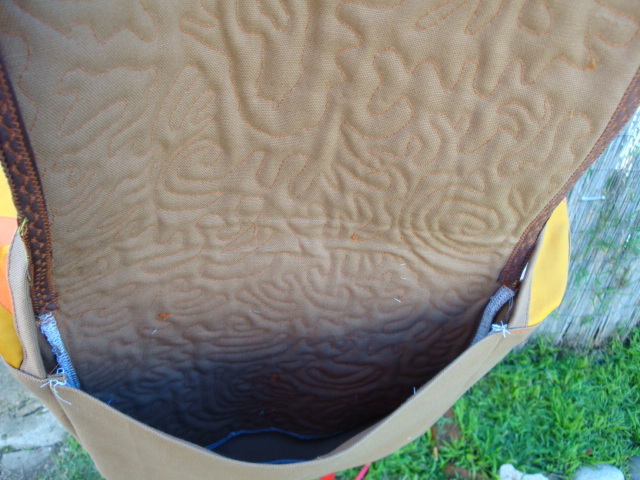 The textures will tantalize your senses as well. 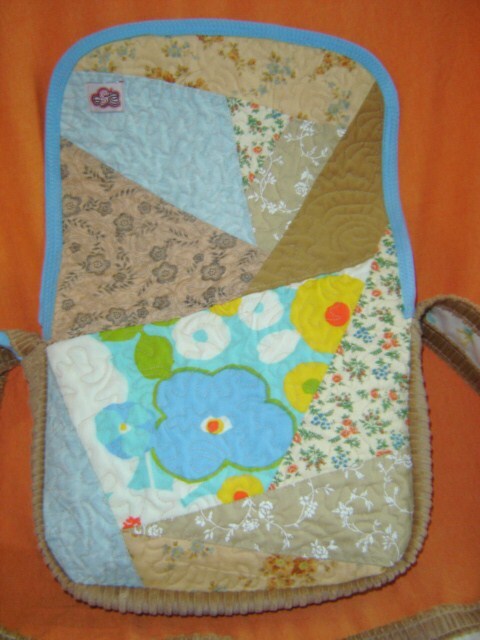 The patchwork is fully hand-quilted and the button is vintage. 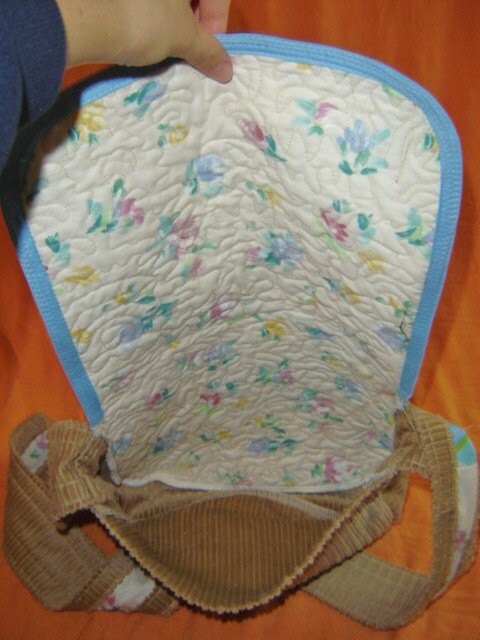 The shiny gold stitching is quite the delight as seen in the floral stitching. This cross-body bag's lining is 100% cotton. Just you wait until you tote this one- everyone one will be complimenting you and your bubbling energy. 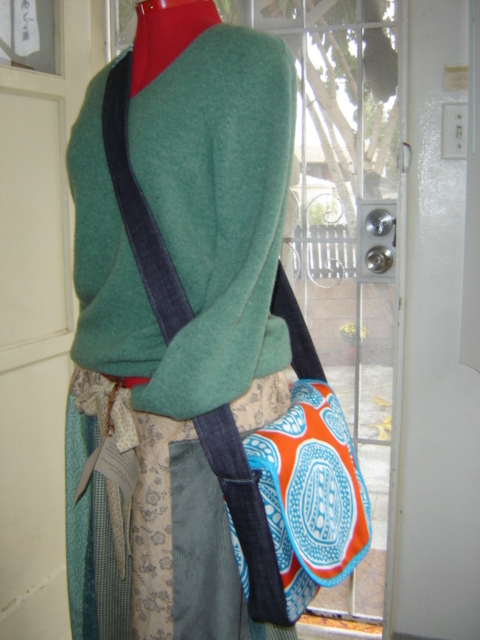 Being the perfect size to tote all of your goodies plus a long sleeve if needed, this bag will go with you wherever. Measurements: 12" by 9" by 2.5"
All we can say is WOW! 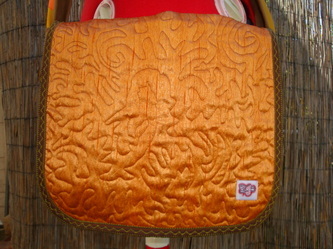 This bag it the ultimate mix of funk and durability. The body is made from high quality canvas weight twill in sage green. 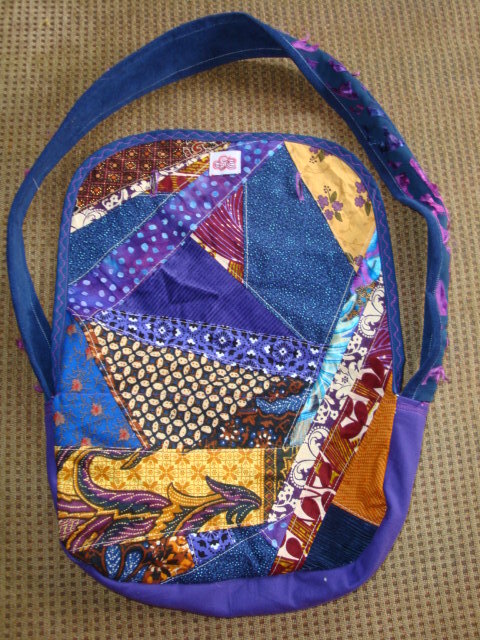 The patchwork incorporates nebulous wonder and vintage Thai batiks. You'll love the varying textures and colors. 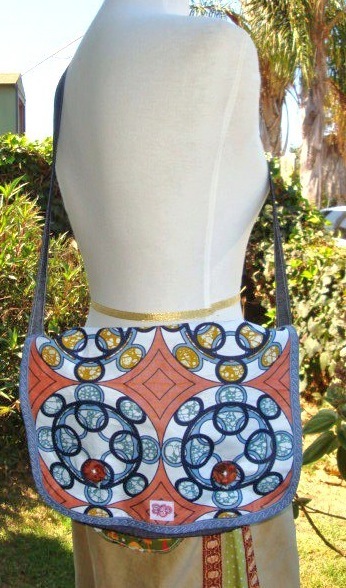 Tote your goodies and even a long sleeve inside of this perfect sized cross body bag. 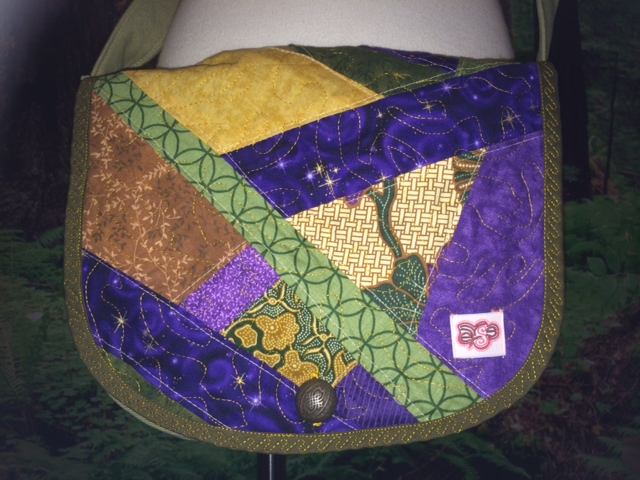 The colors are rich jewel tones of gold, purple, green and rust. 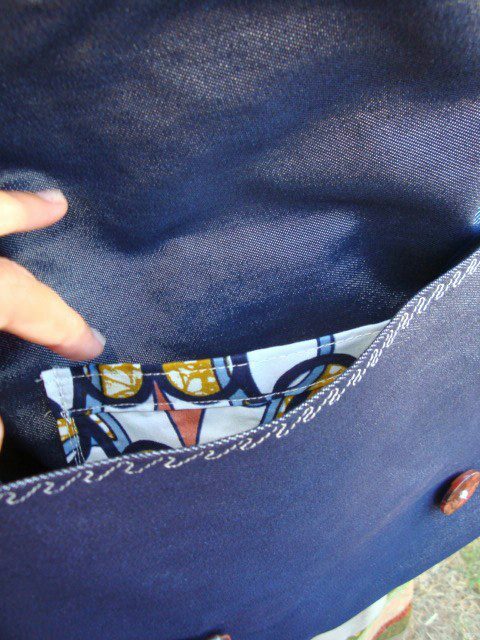 The lining is 100% cotton. 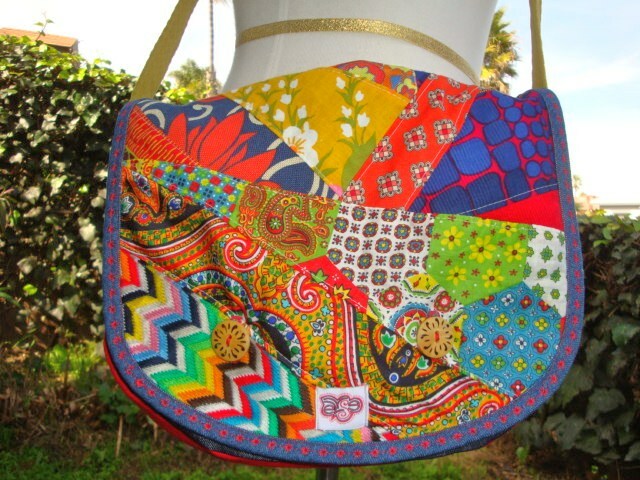 Enjoy the non-stop compliments on your new bag and the way it makes you feel when carrying it around! It's OOAK and so are you! Measurements: 11" by 8.5" by 2.5"
The ultimate is cuteness, this bag pairs a rainbow of colors with great texture. The patchwork is quilted with metallic aqua thread! 100% cotton lining. Wood button is a cute as a button!!! 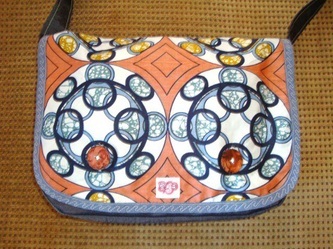 The variety of vintage and new fabrics ensure you that no one else in the world has the same bag as you. People will stop you in the street to ask where you have gotten your bag! You'll love the perfect size of this one- not too big, not too small. It will carry all of your goodies and even a long sleeve just in case you need one. 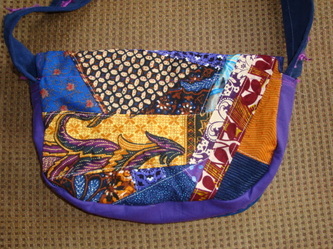 Enjoy your new bag and the way you feel when toting it around the market. The ULTIMATE in toting satisfaction! 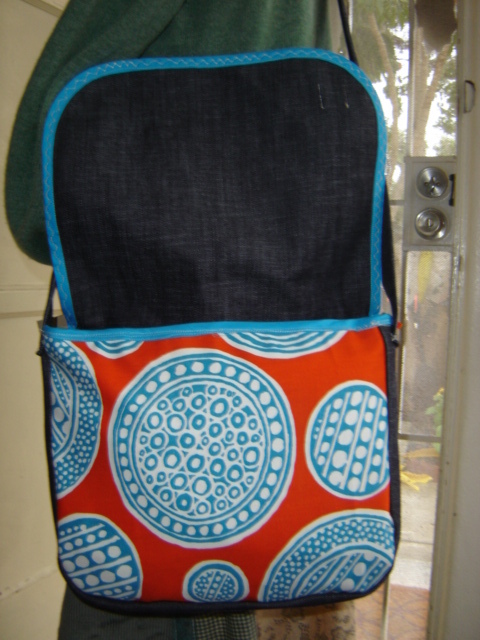 !Use this handy and durable organic cotton tote at the grocery store, beach or anywhere else you see fit. 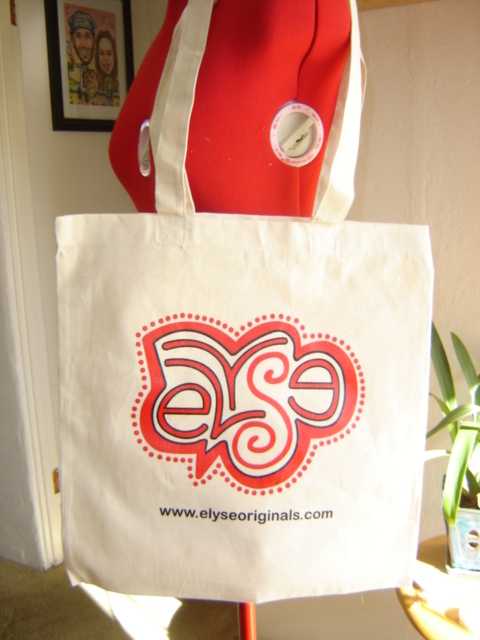 It measures 15 1/2" squared and the elyse logo is silk-screened. Wash after wash, the logo remains bright and the tote retains its durability. 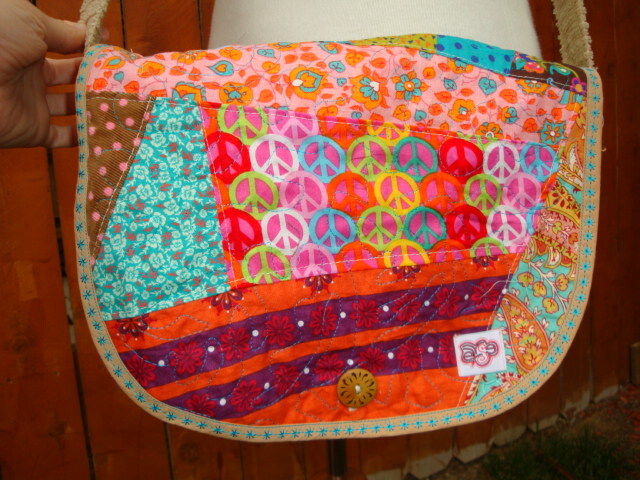 This RAD elyse oRiGiNaLs messenger bag was created with eleven angular patches and in VINTAGE & NEW calicos accents. 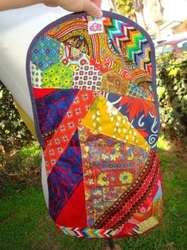 The tediously sewn quilting was created in a patternless swirlie manner. Quilt batting is sandwiched between VINTAGE interior floral lining & exterior patchwork. 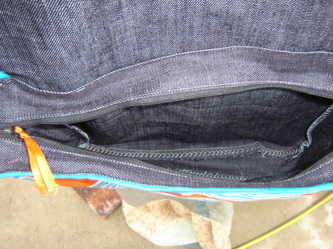 SOFT & STRONG tan SUPER wide wale corduroy below flap closure. 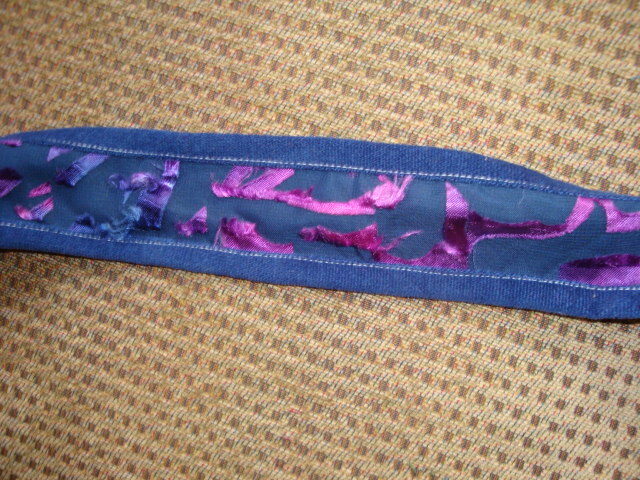 Blue seam tape with fancy stitching detail lines the long strap. The strap is also lined with Fabric that is coordinating with the body of the bag. It's a ONE of a KIND elyse oRiGiNaLs that you can show off with any outfit! Measurements: 10" x 12" x 3". All we can say is WOW! This bag boasts allover patchwork, vintage fabrics, fancy stitching, trippy wooden buttons and the quality that you've come to expect from any item bearing the elyse oRiGiNaLs tag. 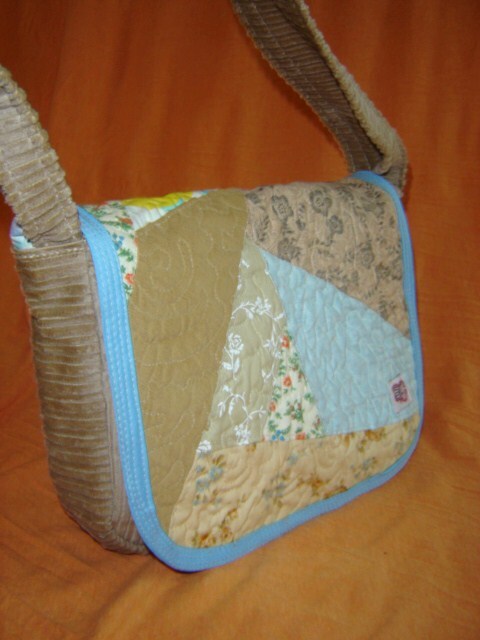 With an vintage denim and duck cloth interior and a lining atop that, you can throw just about anything in this OOAK bag. Everyone will want to know where you got it! The strap is made from the softest chenille upholstery fabric. The patchwork keeps you captivatedwith eyes moving in a counterclockwise motion. Many of these fabrics, including the multicolored chevron, are from elyse's secret stash. Enjoy! 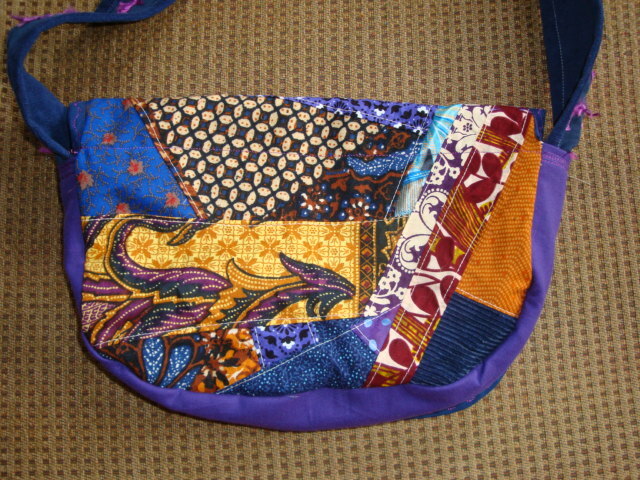 Measurements: Length 10", Width 13", Depth 3"
The rich jewel tones in this bag with draw all eyes on you. Throw in some corduroy, vintage silk and batiks imported from Thailand and people will not stop asking you where you got you're unique bag. Vintage and new patchwork- and lots of it- make up the front and back panels. Check out the cute flower wooden buttons. 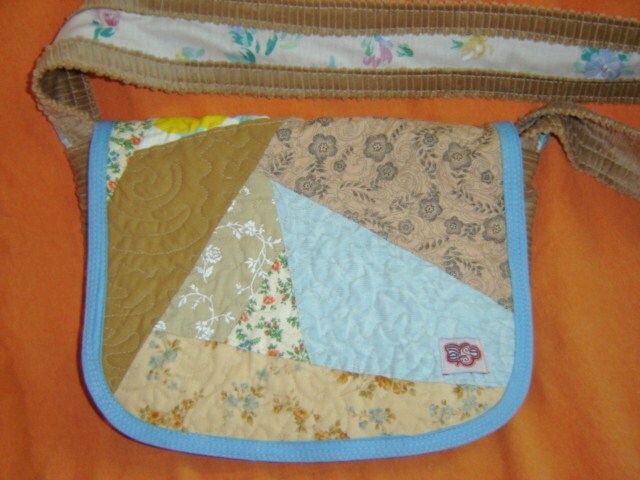 We just love the center triangle patchwork. 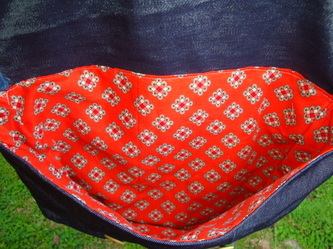 The bag featiures a vintage denim interior with an African wax batik lining. The strap makes us happy! They're made from the neatest textured plisse with a velvet corduroy backing. You will love the many details in this bag, guaranteed. 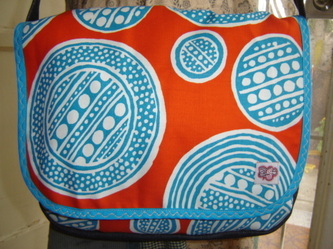 Measurements: Length 9", Width 12", Depth 2"
Incredibly rad VINTAGE funky circles canvas in reddish orange, aqua & white. Lined in durable heavyweight denim with seamless bottom. 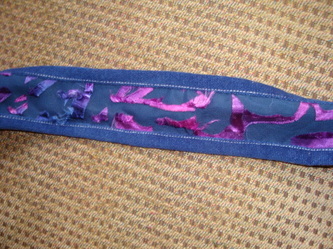 Full zipper with shiny satin ribbon detail. Fancy wave stitching in white accenting the aqua seam tape on the flap closure of the bag. 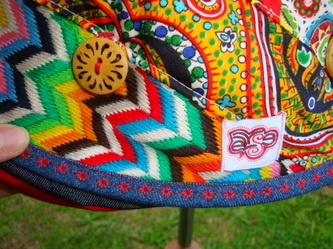 Signature elyse oRiGiNaLs tag. Measurements: 10 1/2" x 13" x 3". Check out this totally RAD messenger bag. It's just FABULOUS! The style will match your individual personality perfectly. 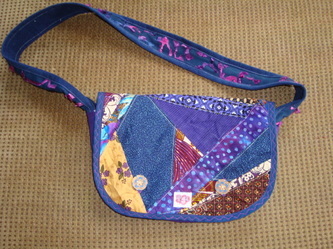 This is a one of a kind Messenger bag. DETAILS: This ONE of a KIND messenger bag was created from imported African Wax batik fabric & a VINAGE sheeny denim. 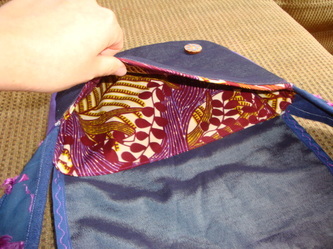 There are TWO wooden buttons for front closure. 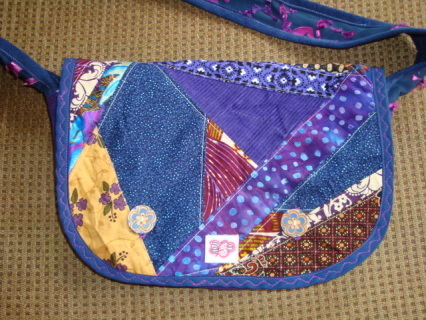 On the inside of the messenger bag is a stained glass pocket to keep your goodies safe. There are no seams on the bottom of the bag- this gives your stuff optimal support! 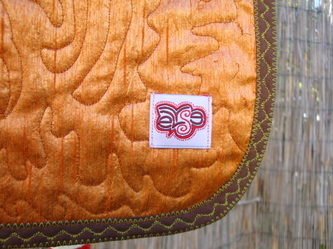 Make sure to check out the FANCY stitching details throughout the entire bag. It's a ONE of a KIND elyse oRiGiNaLs that you can show off with any outfit! Measurements: 13" by 9 1/2" by 2 1/4"
Just take a look at the beautiful construction of this awesome messenger bag! The tediously sewn quilting was created in a patternless swirlie manner. 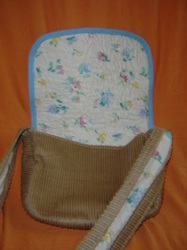 The bag is lined in a super soft brown canvas. Batting in in the center layer with a shimmery pique ethnic orange polyester as the outer layer. 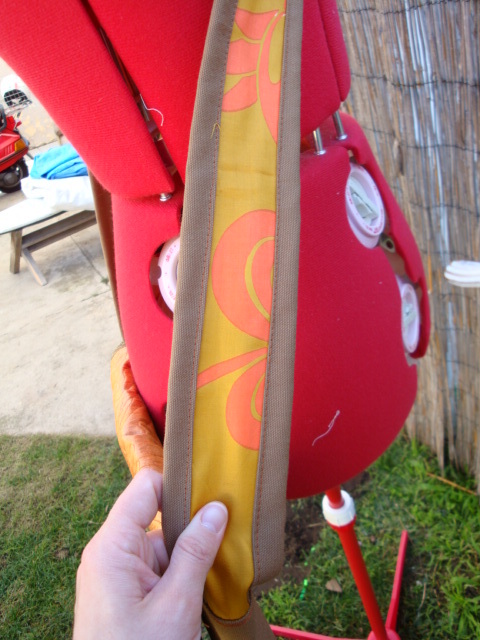 The stitching is done in a pea green for added detail. 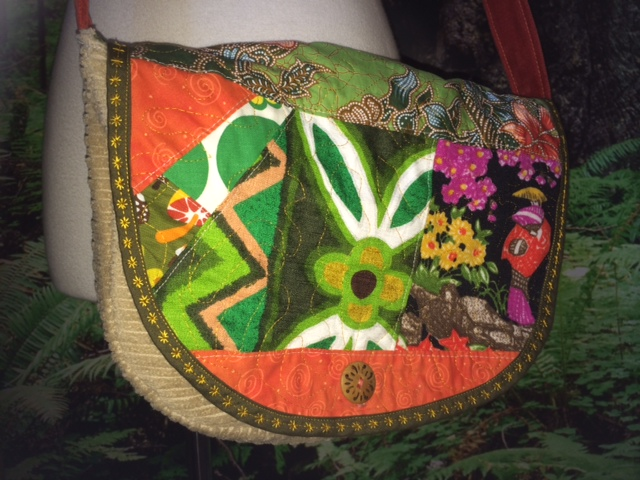 The Hawaiian fabric strap detail is the perfect touch! Measurements: 9" x 12" x 3".